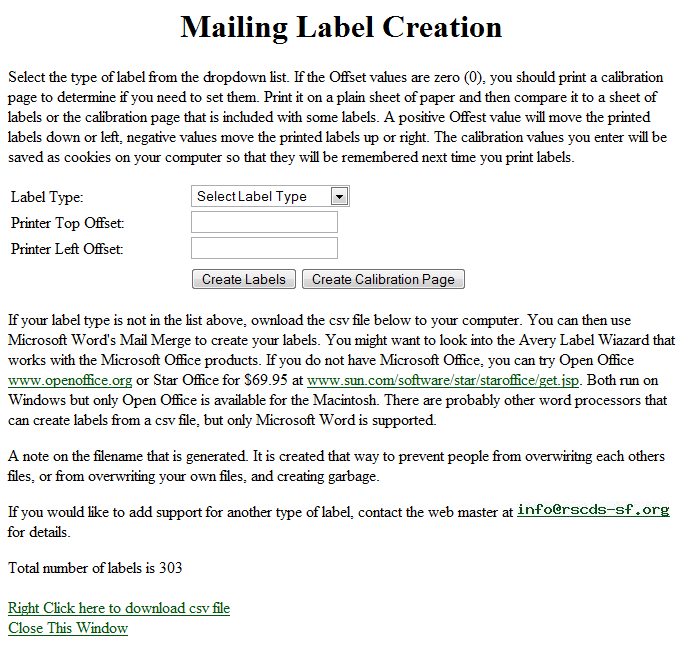 Clicking a Create Mailing Labels link will bring up the following form. 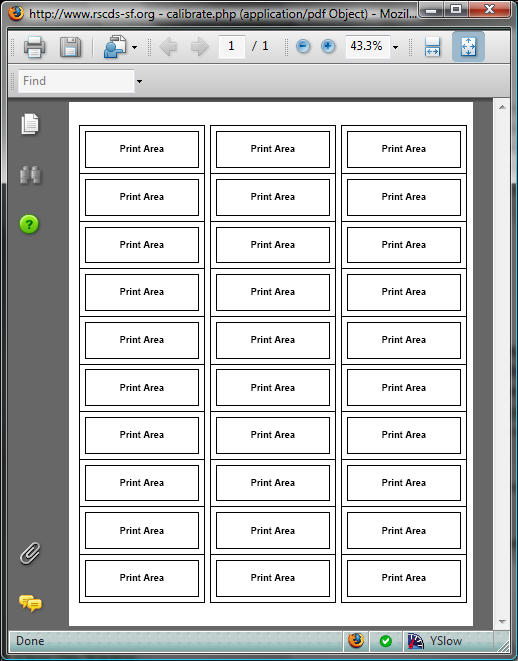 Select the label type from the dropdown list and click the Create Labels button and a pdf file will be displayed that can be printed on your printer. Offset can be used to make minor adjustments to center the printout on the labels as different printers will print the output with varying margins. create a Calibration Page (as below) to check for the required offsets. Print this form on a blank sheet of paper and compare to a page of labels or the test sheet that can be included with the labels. If you want to use another label type, you can contact the Webmaster for details on how this can be done. The Webmaster will create the definition but requires a sheet of labels to check the definition. Alternatively, there is a link to download a csv version of the data that can be used with the mail merge functionality of a word processor to create and print the labels on your PC or Mac. 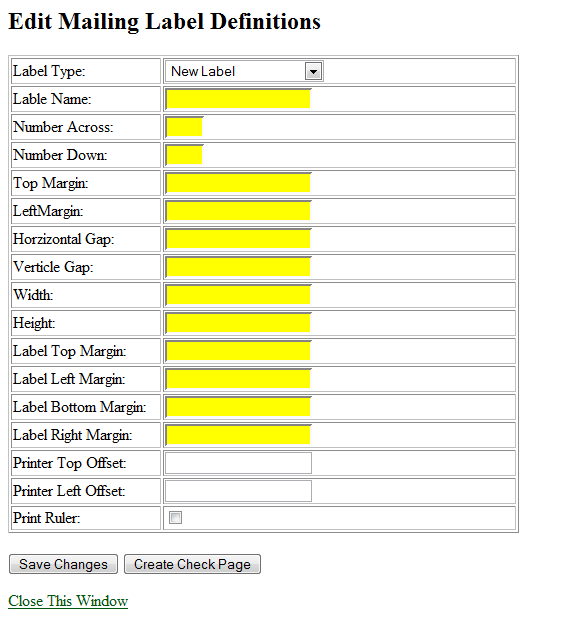 This option is used by the Webmaster to create or edit label definitions. Creating a label definition is an iterative process of filling in the blanks, saving the changes and creating a check page, which is the same as the calibration page for the Print Label functions.